Smart. Witty. Cute. 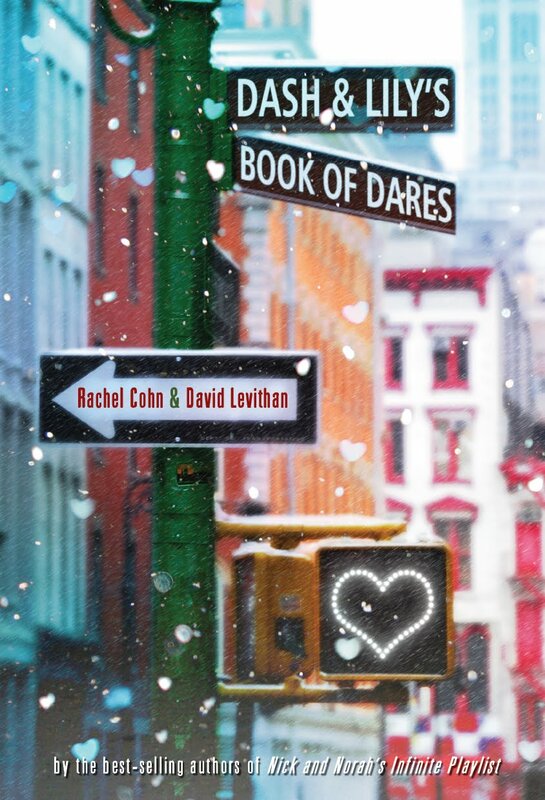 There are so many words to describe how fabulous David Levithan and Rachel Cohn’s latest book, “Dash and Lily’s Book of Dares.” I find that in most of young adult literature, there are many clichéd stereotypes of what teenagers are like. What makes “Dash and Lily” such a gem is that it doesn’t fall for the clichés of adolescent life; it gives you two very unique and lovable characters mixed in an interesting plot. 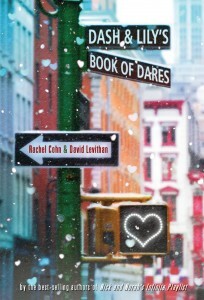 Set during Christmastime in New York City, we first meet Dash. Dash is a fairly serious (and snarly) 16 year old boy. In fact, he hardly seems or acts like a teenager at all. You can instantly tell how intelligent he is; it’s hard not to be intimidated by his vocabulary. He is very wordy, but that is mostly because he loves everything about words and books. It’s then no surprise that he stumbles upon Lily’s red moleskin notebook at a bookstore. Intrigued by the challenges that Lily dares him to do, he follows through and leaves more dares for her to do. Each chapter switches perspectives between Dash and Lily. (Levithan wrote Dash’s chapters and Cohn wrote Lily’s.) When we meet Lily, she couldn’t seem more opposite than the snarly Dash. She’s lively, hopeful, and a little weird. In my opinion, her weirdness adds to her charm. As they exchange messages and dares (without ever meeting), they begin to learn more about themselves and each other. Levithan and Cohn write some of the best characters in young adult literature. Most of you will probably be familiar with their first book together, “Nick and Norah’s Infinite Playlist.” Expect the same kind of formula in this book: the run-around of New York City, the offbeat but hilarious side characters, the undeniable wit and charm of the dialogue. And like “Nick & Norah,” this book is already in the works to become a film! Lena Dunham (She’s getting a lot of buzz for her indie movie, “Tiny Furniture.”) is set to write and direct the flick. “Dash and Lily’s Book of Dares” is now available in our TYF store. Click here to purchase!